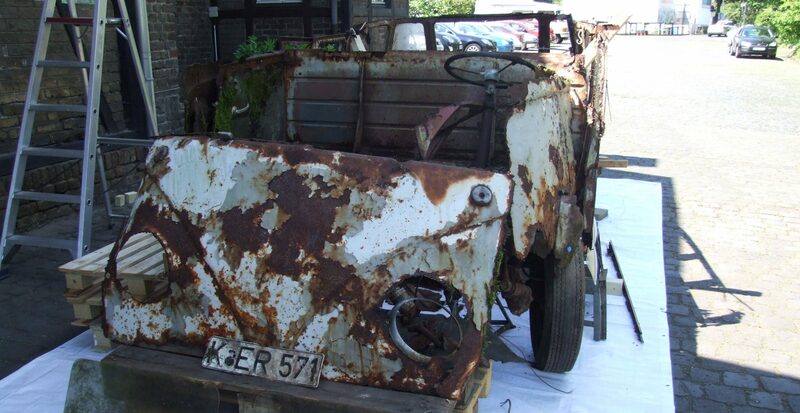 here are some good news for Barndoor owners. 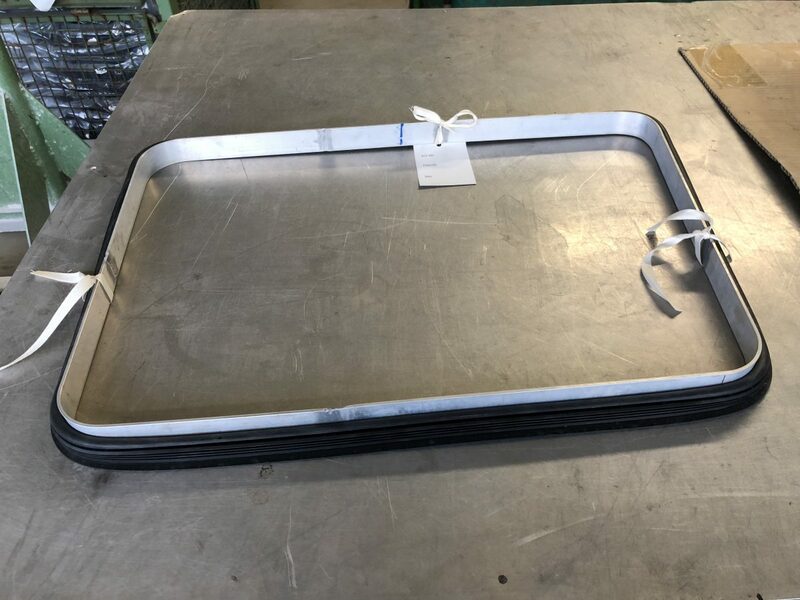 As mentioned in a previous article I started a project to add windshield seals for Barndoors to my VEWIB-line, just because there is nothing good on the market for Barndoor so far and I need the seals for our ´51 Samba anyway. 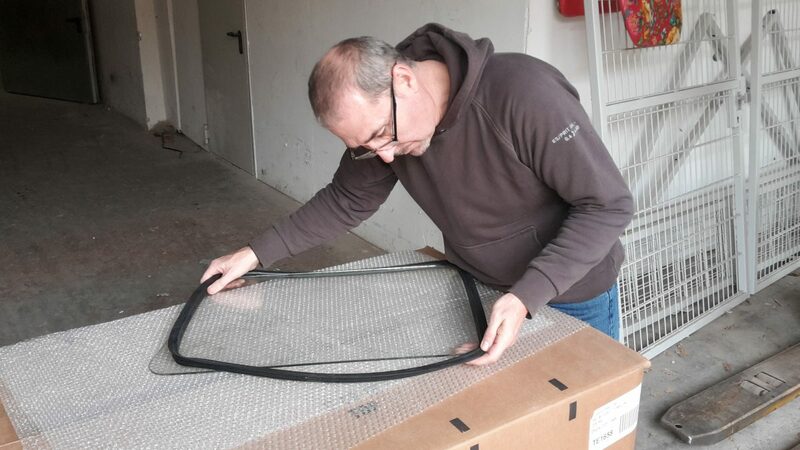 Producing a VEWIB window seal needs a heating tool, but also the correct extrusion tool for the rubber itself. Luckily I do own the original extrusion tool for all Split Window Bus window seals since 1998. I bought it from a former rubber company who worked for Volkswagen in the 50s. The extrusion tool dates from 1949! Now we were able to produce a prototype of the windshield seal. 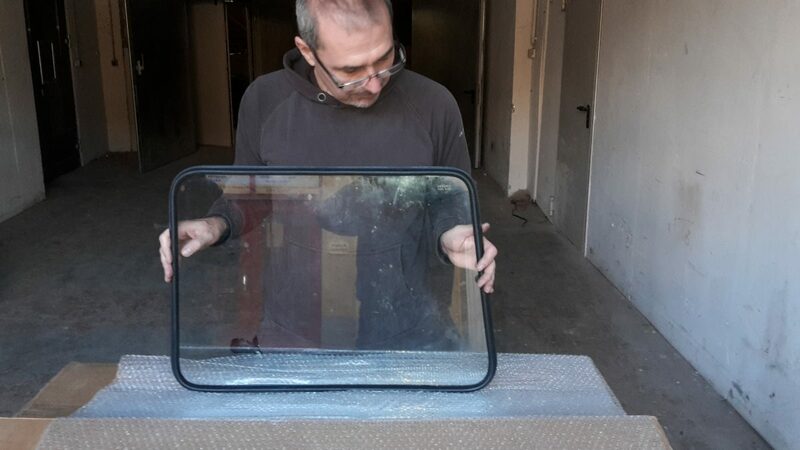 Here you see our warehouse worker Viktor assembling the prototype on the left windshield of our ´51 Samba. It fits perfect! So we will start the first production run next week. Due to the preforming the left and right window seals of all Split Window Busses (regardless if pre or after 1955) were different and Volkswagen used different part numbers for the left and for the right side seal. When Volkswagen gave up the preforming process in the early 80s, just selling the seals extruded and glued together, they obsoleted the right part number and used just the left part number (211 845 121 A) saying “This fits both sides”. Giving up the preforming process made the production a lot cheaper, but also the product itself cheaper…. Sure this seals fitted not as well as the preformed ones, but at this time an old Bus was just an old Bus and not a collector´s car in at all. Barndoor windshield seal were obsolete back in those days a long time anyway. Sure we will produce left and right seals! The part numbers will be 211 845 121 for the left and 211 845 122 for the right side. You can order this seals mid of December 2017 from your local VEWIB distributor. Keep in mind that these seals are for Barndoor only! Preformed VEWIB windshield seals for ´55 – ´67 Busses we have in line since 1998. These you can order these any time by using the part numbers 211 845 121 A (left) and 211 845 122 A (right). 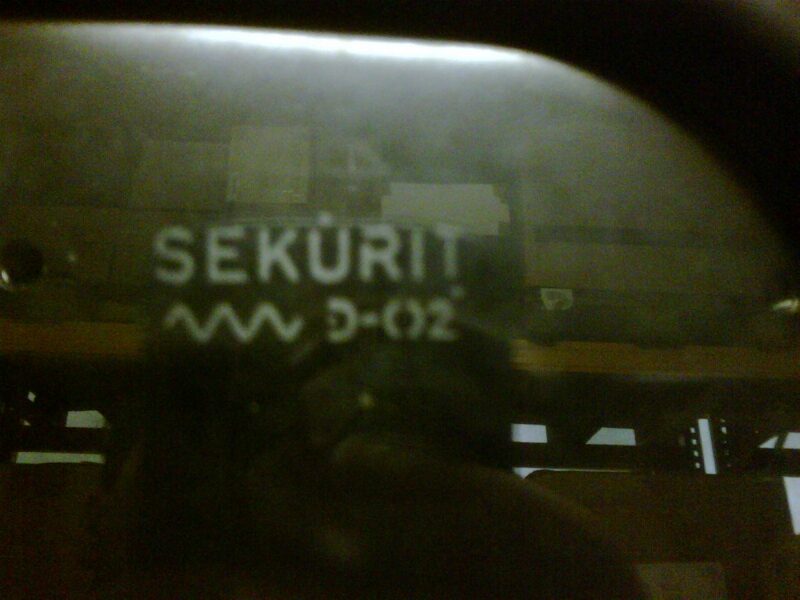 Here is the “SEKURIT” logo in the Samba´s windshield. A little wonder the windshields still were with the wreck when it was found in May…. I feel now it´s time to have a look at the body reconstruction of the Samba and you surely wondered why I do concentrate on all this little details as headlights, shock absorbers, the fuel pump etc and there is no news about the progress regarding the body at all. This is because our friend Mark Spicer married his lovely girlfriend Evelyn and they made a real long honeymoon trip through Europe. I didn´t want to disturb them by pushing Mark regarding the Samba´s decklid which he started to restore. But after two months the honeymoon trip should be over and I am sure we will have interesting news from Mark soon. When Mark has finished the decklid, we will start to work on the Samba´s chassis. Nearly all parts we need are in stock in the meantime, so the project can go on. I will keep you posted.